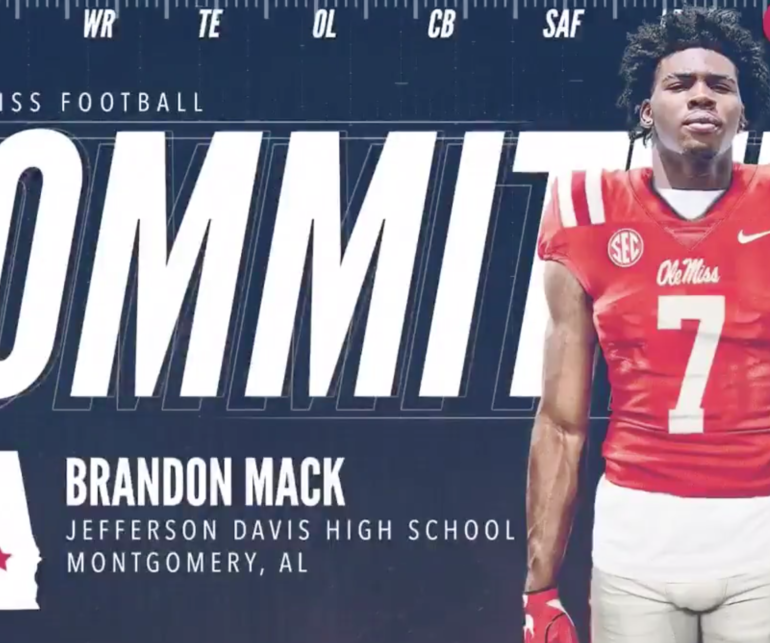 Defensive end Brandon Mack signed with Ole Miss on Wednesday after choosing Ole Miss over offers from LSU, Mississippi State, Louisville and Memphis, among others. The 6-foot-4, 240-pound Jefferson Davis High School (Montgomery, Ala.) product is expected to be a key part of Mike MacIntyre’s new 3-4 defense at Ole Miss. Mack committed to the Rebels on December 29. The 3-star is one of four defensive linemen who signed in the Rebels’ Class of 2019, along with JUCO star Sam Williams who enrolled at Ole Miss in January, defensive tackle Patrick Lucas who signed in December, and LeDarrius Cox, who flipped to the Rebels from Tennessee. Next article Jerrion Ealy makes it official: He's an Ole Miss Rebel!